Ah, Montreal - what a great city. 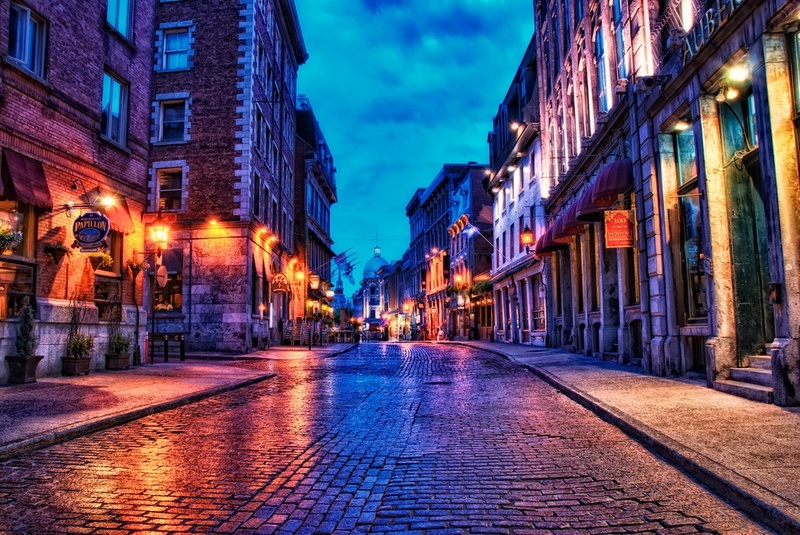 It has so much character, especially in the old historic district known as Old Montreal. The French influence is so obvious, from street signs (yep, took some pics of those!) to the menus and more. It's really a beautiful place and I was really happy when it started to rain on me there. Yes, I said I was happy about the rain. The reason is that it didn't feel like it was going to be a long intense rain shower, and I hoped the light rain would banish all the tourists and allow me to get some shots of the streets all aglow and empty - worked out perfect!